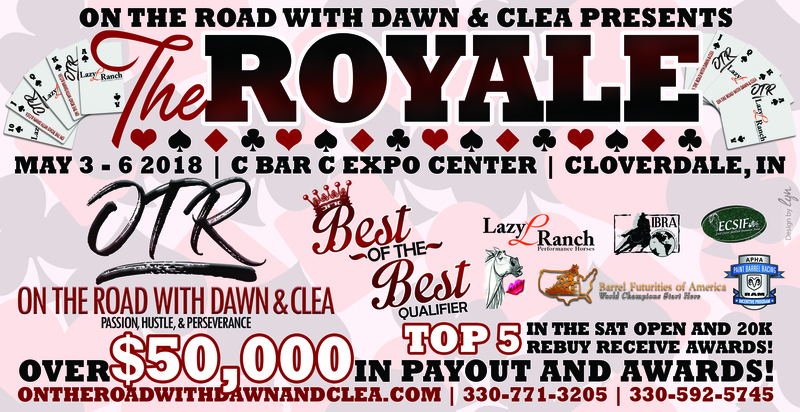 We are happy to return to C BAR C Expo with The Royale and a whole new showbill. We are excited to bring you not 1 Futurity but 2, ECSIF Money for the Open and The OTR Futurity, 3D poles with K.I.S.S Money as well as K.I.S.S. Money in the Sat Open, We have PBRIP Money and lots and lots of Open Money. There will be awards and lots of fun and enjoyment for all. You can find stalls and entries at the link below as well as on the web on Feb 20th. We are looking forward to seeing you all in May! Until then – don’t drink to much tequila – seriously just don’t! Previous Holy Boat Load of Irish Coin!